Emerging facts have shown that the ruling All Progressives Congress (APC) is mired in serious internal wrangling and crises that may culminate in its implosion before the 2019 general elections. Sources close to the party identify cracks in the party’s leadership, tracing it first to the absence of a virile leadership at the national level which could whip leaders into form, thereby enabling it to form a common front on all national issues. “Those cracks have shown from the outset when President Muhammadu Buhari failed to take effective leadership of the party and prevailed upon it by choosing National Assembly leadership of the party’s choice. The absence of a rallying point has also led to the emergence of various power blocs within the party,” one of our sources said. “For instance, today, we have the blocs that belong to the former Vice President, Atiku Abubakar; Senate President; another to the national leader of the party, Chief Bola Tinubu and other belonging to ministers and loyalists of the President in Aso Rock. Each of these is seeking some level of supremacy,” he said. According to another source, besides the party’s alleged poor grasp of governance at the centre, it is also said to be suffering from lack of internal democracy, the same malaise that robbed the Peoples Democratic Party of victory in 2015 – imposition of candidates. “Look at what happened at the just concluded Osun West Senatorial election, where an aspirant disqualified by the APC defected to the PDP, picked the ticket and emerged winner, against the governor’s preferred candidate. “In the same manner, move to Lagos State and compare it with the imposition of over 20 local government chairmanship candidates in the yesterday’s election and you will understand what I mean. Already, while some are calling for the suspension of the party’s Legal Adviser, Mr. Muiz Banire, the latter’s group is advocating the dissolution of the party’s state executive led by Chief Henry Ajomale. Ajomale was miffed by Banire’s group’s audacity to seek and obtain court injunction to nullify the Odi-Olowo Local Council Development Area primary conducted by the party, stating that it was obtained by default. Ajomale, in a statement said: “This judgment in respect of Odi-Olowo LCDA was obtained by deception. It was an ambush. The judge was misled into believing those presented to him as genuine members of the APC have nothing to do with the conduct and organisation of the primaries. “The court process had been on for more than a month, but the party only knew a day before Banire got the judgment. This judgment is frivolous. This is a pyrrhic victory. The party has set in motion the process of putting down the judgment by way of appeal. We have put together a crack team of senior legal practitioners to properly defend the party. This judgment cannot stand. “With the appeal, the party’s arrangements for the election as fixed by the Lagos State Independent Electoral Commission (LASIEC) would continue in Mushin and Odi-Olowo and APC members should intensify their ongoing campaigns. They should not be distracted by this irresponsible conduct,” Ajomale said. A top member of the party said though the APC government has made remarkable achievements in the areas of anti-corruption and security, “The point right now is that our party has no rallying point. When Chief \Olusegun Obasanjo was in power, he either rose to address problems when they arose or asked his VP then, Atiku Abubakar, to handle them. As at today, there is nothing like that. Even when President Muhammadu Buhari was in the country, crisis would have snowballed into something else before he intervened. “Look at the impasse over confirmation of the Economic and Financial Crimes Commission, DCP Ibrahim Magu, as chairman, in a government where the same party has commanding majority. This ding dung is not funny at all. “I can tell you that they will have more crises in the PDP when they start their convention. It will be a free for all like it happened at Lagos LG primaries. Nobody can call anybody to order. Too, you know they’re supposed to have held their convention, but unfortunately that is a violation of their constitution which provides that the convention be held every two years,” he said. The PDP, after the partial resolution of its leadership issue last week had said that with the internal crisis, it would sink the APC come 2019,- a point Governor Rochas Okorocha countered, saying that a party that defeated the incumbent while in opposition will do so with ease now that it holds the reins of power. 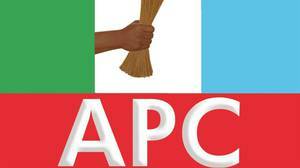 APC National Publicity Secretary, Mallam Bolaji Abdullahi, however, said the party is not in disarray, even as he added that it is too early in the day for political parties to start talking about the 2019 general elections.